← Thank YOU! We made our goal! Happy New Year, Friends and Family! May 2019 bring us moments of joy and opportunities to engage with each other. I personally hope for more (karaoke) singing, dancing, laughing, and sharing our stories. After a good holiday break, Lynnor and I are back. This time we are joined by our graphic designer, Stefanie Chung, who holds the challenging job of fitting all our texts and images together. And I do mean challenging! 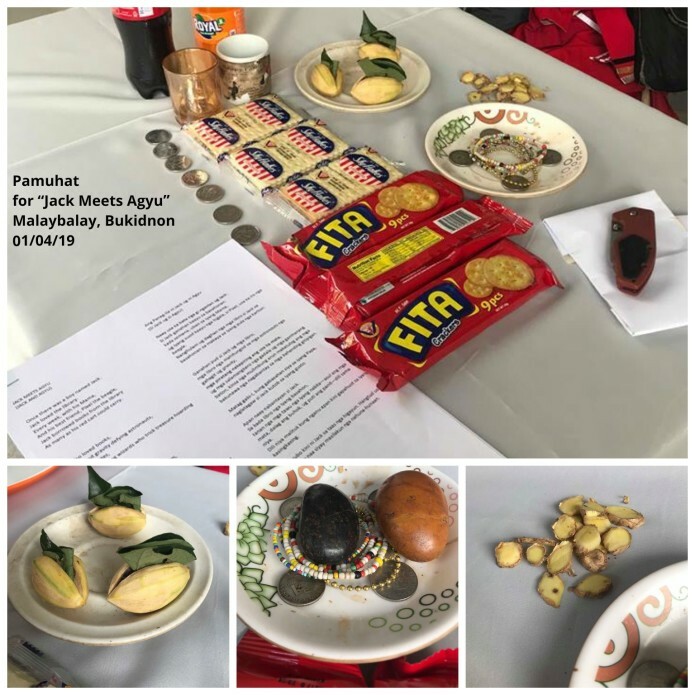 Our collaborators at the Bukidnon State University have just sent us translations of the manuscript to three languages: Binukid, Bisaya-Cebuano, and Filipino. It’s a lot of texts! How do we fit everything? What can we take out? Everything seems important and can not be taken out. My first impulse is to clench my fingers and not let go of anything. But it seems that the limitation of the pages demands that we part with some of the translations. THIS IS GOING TO BE HARD! We want to express our heartfelt gratitude Prof. Rizza Ramos, the Bukidnon State University English Department, and the BSU Bukidnon Studies Center for collaborating with us. They have offered our small press their resources. Through them, we are receiving the help of Binukid, Bisaya, and Filipino translators, as well as the expertise of Bukidnon scholars who are meticulously looking over the book’s cultural references to make sure that we are accurate, appropriate, and sensitive to the Bukidnon culture. 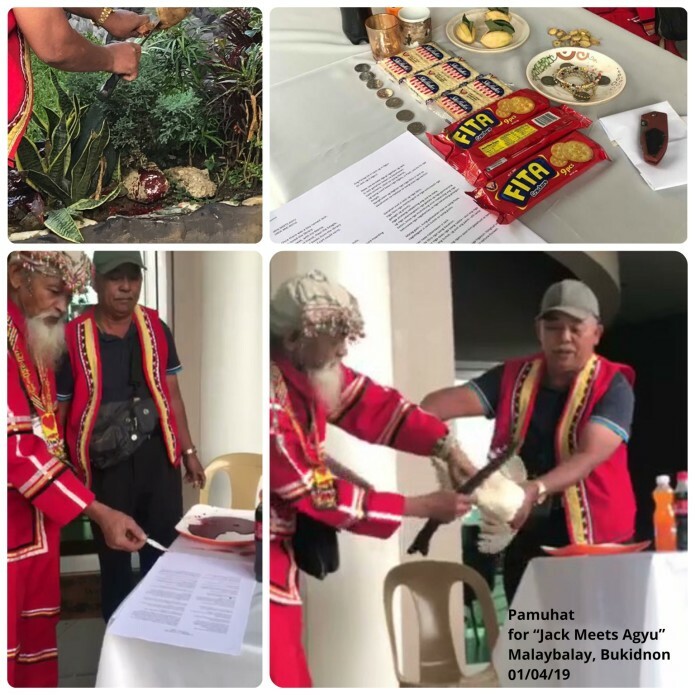 Last week, through the BSU and the Bukidnon Studies Center, a Datu (unnamed for now as I have not yet been provided with his name) led a pamuhat ritual to praise and give thanks to Magbabaya, Supreme Creator of the Bukidnon people, and to invoke Magbabaya’s blessings so that our book may be successful in its goals of continuing/reclaiming our Bukidnon ancestral roots in the Filipino diaspora. He asked for blessings for the writer and everyone else involved in the making of the book. He pleaded that the evil spirits would not cause ill and prevent success. I can not begin to express how touched I am by the ritual. I’m grateful for the Datu who led the ritual, the translator, the community members who gathered, and for the chicken who gave their life and blood. I so wish I was there to witness the prayers and offers. The Center sent me photos and videos so I will share them with you right here. As we forge on, I continue to call on the creative spirits to guide us. We still have much work to do, hard decisions to make, and questions to raise and answer. Thank YOU for being part of this bookmaking journey! We’re happy you’re here.